In 2009 Bill Gates gave a TED Talk on Malaria, Mosquitos and Education. http://www.ted.com/talks/bill_gates_unplugged The relevance of the malarial section will become clear in the graphics taken from the TED Talk displayed below. In the area of education reform critics of Bill Gates raise the following concerns; the public school reform program of the Gates Foundation has come under criticism by education professionals, parents, and researchers for promoting reforms that they see as undermining public education. The reforms include closing neighborhood schools in favor of privately run charter schools; using standardized test scores extensively to evaluate students, teachers, and schools; and merit pay for teachers based on test scores. Critics also believe that the Gates Foundation exerts too much influence over public education policy without being accountable to voters or tax payers. But back to Bill Gates on malaria. 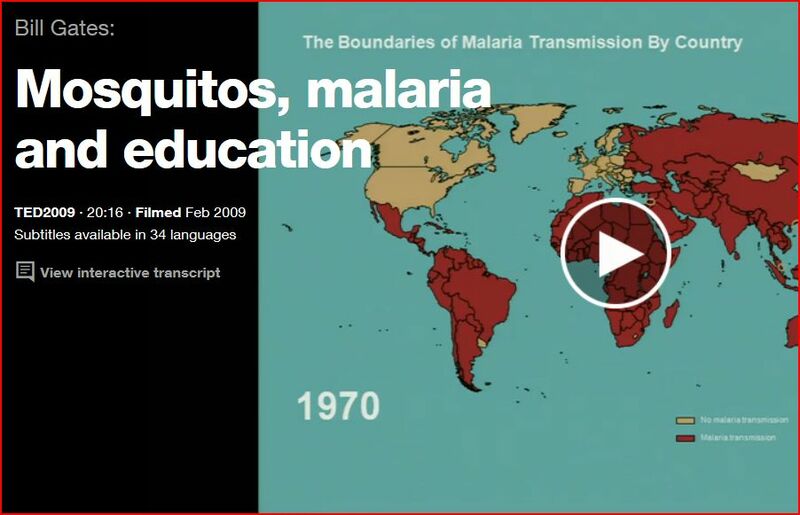 At 4:14 into the TED Talk Bill Gates, formerly of Microsoft the company that gave the world Powerpoint [It is estimated that almost 16 million copies of Office 2010 have been sold] displays some graphics titled The Boundaries of Malarial Transmission by Country. The series cover the periods 1900, 1945, 1970, 1990 and 2009 and demonstrate the effectiveness of DDT and quinine. Concentrate on the United Kingdom. All is well in the first four slides when suddenly and without explanation in the 2009 view the island of Ireland slips towards the continent of Europe. Would teachers be right to trust Bill Gates to educate on anything when he can’t even manage his own Ted Talk?